Look at the cheery face that greeted me this sunny morning! There was a stalk of five buds but the frost took all but the bottom one. and it did not take well to the transplanting! 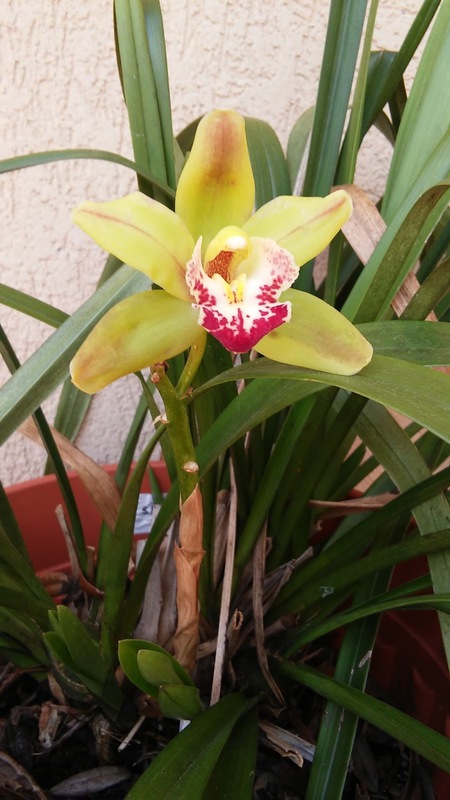 It has forgiven my tampering and given a bloom! 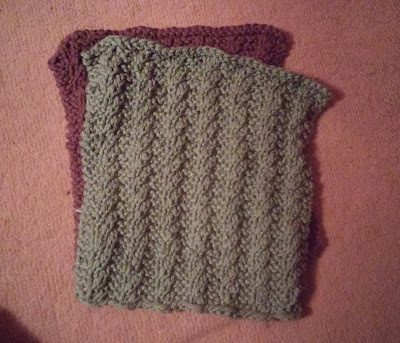 but I did finish two of the Garter Twist Dishcloths! What a beautiful bloom! We are still waiting for spring up here but things are slowly starting to flower. I hear the cherry blossoms are starting to do their thing in spite of the wind and cold. Snow again this weekend? I hope not. Orchids remind me of my high school prom and how special it was to wear a single orchid corsage. I haven't thought about that in a long time. What a pretty stitch! Might have to use that in the Diva's afghan. I've been enjoying seeing what stitches you come up with for your dishcloths. Am curious what yarn you use. I have been very disappointed with Sugar 'n Cream the past few years-- ever since Peaches 'n Cream and Sugar 'n Cream merged... yarn seems too heavy/loosely spun and colors fade rapidly. 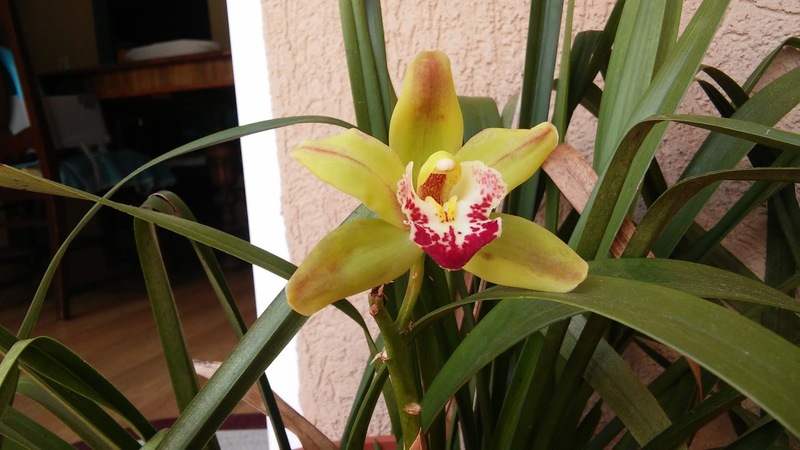 Orchid blooms are so neat. We have never had luck with them. Boring? NO! Dishcloths rock it every time. Maybe that is what I should be doing as my brain resets....lol. And dishcloths get used around here a LOT! Nice to see the orchid doing its thing again! Hooray!